Head coach Richard Cockerill says he has no regrets about making Magnus Bradbury captain of Edinburgh. 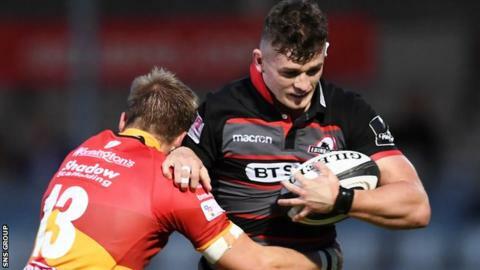 The 22-year-old back-row has been suspended by the Pro14 outfit after injuring his head on a night out with friends two weeks ago. "At this point the player has done nothing wrong," said Cockerill, who joined the club in the summer. "He has hurt himself on a night out. When we know all the facts of that we will deal with that appropriately." Bradbury was not involved as Edinburgh beat London Irish in the European Challenge Cup on Saturday. The club then released a statement saying he was "subject to an internal disciplinary procedure and is unavailable for selection whilst this continues". "He is 22 and he is young in comparison with us but it's not that young really," added Cockerill. "Sometimes people make poor decisions, young and old. "I have no regrets on that and moving forward he has responsibilities to his team and if he goes out on a Saturday night I expect him to be training on Monday morning." Bradbury, capped twice by Scotland, is the son of SRU vice-president Dee Bradbury. "He's a good young player and it's disappointing that he is unavailable through no fault of the club's," added Cockerill. 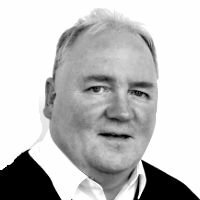 "He had a head knock against Scarlets, so two bangs to the head in a short period of time is not helpful. "Firstly, we need to look after his health and make sure he's all right. He's recovering well. "This is difficult for Magnus at the moment but I'll help him through the situation and when we come out the other side he'll be better for learning the lessons, like we all are through life."